Facebook is planning to start showing ads in the middle of videos. These ads will generate revenue for both Facebook and content creators. Thus, Facebook will add yet another moneymaking element to its already successful business. Video has become an increasingly important part of Facebook in recent years. So much so you’ll rarely be able to scroll down your timeline now without seeing at least one video. And as they start playing automatically, Facebook videos collectively rack up billions of views every day. The problem as far as Facebook is concerned is that videos aren’t profitable. They serve their purpose in other ways, such as keeping people on Facebook for longer, and persuading brands to create content. But what Facebook really wants to do is make more money Facebook Makes Money Out of Your Data, Why Shouldn’t You? Facebook Makes Money Out of Your Data, Why Shouldn’t You? There are so many free services online because companies can profit from the data you provide. Companies like Facebook sell (or buy) your data to third parties, while ones like Google use your data to... Read More . To do that, Facebook needs to start showing ads to the people who watch videos on the social network. Mark Zuckerberg isn’t a fan of pre-roll ads of the sort you see on YouTube, so Facebook’s overlords are keen to test a mid-roll ad format instead. According to Recode, publishers will be able to insert a mid-roll ad after at least 20 seconds on videos that run for at least 90 seconds. Facebook will sell the ads, and share the revenue with publishers on a 55-45 basis, with 55 percent of all sales going to the publisher. For publishers these ads would therefore represent a new way of making money on Facebook. It should also encourage publishers to spend more time and money making great content, as they’ll need to keep people watching for at least 20 seconds. Viewers will obviously have to sit through an ad, but they’ll get to enjoy better content as a result. Or at least that’s the theory. Right now, Facebook defines a video view as any time a viewer keeps watching for at least three seconds, so it seems most of us just keep on scrolling. Facebook has declined to comment on the report, which comes courtesy of “industry sources”. 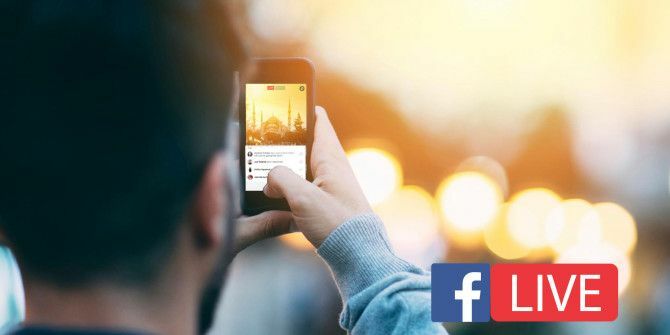 However, Facebook already allows select publishers to publish videos sponsored by advertisers, and the social network has also previously tested showing mid-roll ads in Facebook Live videos 10 Ways You'll Be Using Facebook Live This Year 10 Ways You'll Be Using Facebook Live This Year Facebook just made two major announcements. Both of these show the 1.5-billion user company's commitment to ensure you enjoy as much live-streamed video as you can. Read More . Do you ever watch videos on Facebook? How often do you carry on watching for at least 20 seconds? How do you feel about Facebook adding mid-roll ads to videos? Is this a total negative? Or can you see a positive side to it? Please let us know in the comments below! Explore more about: Facebook, Online Advertising, Online Video. Since ads are, for the most part, unavoidable, the mid-roll idea is much more preferable IMHO. The pre-roll ads YouTube has been force feeding viewers gets aggravating, especially when you're stuck watching an entire commercial, sometimes several minutes long, when you aren't even sure the you want to watch the selected video itself! What's worse is when that same ad gets shown repeatedly, UGH! I wonder if this 'last straw' by Zuckerberg will finally drive some ex-TV viewer (severely traumatized by incessant and inane TV ads) over the edge and cause him or her or it to stalk and catch old Alien Eyes Zuck and drive an oaken stake through his evil heart to end his madness? Damn right, man. Damn right. FB is a pretty terrible experience without some kind of ad blocker. uBlock works pretty well. It blocks YouTube and Twitch ads. We'll see about FB videos.